Annie Lillian Hunt Smith, the eldest daughter and second born child to Tommie and Beatrice Butts Hunt departed this earthly home and joined the ranks of other angels in her Father’s home in heaven on Monday, July 30, 2018. She was surrounded by her endearing family and closest friends as she made her final ascent at the Navicent Medical Center in Macon, Georgia. Born on May 21, 1926, Annie married her childhood sweetheart Isreal “Brut” Smith and spent over seventy years building a family and legacy with her soulmate. The loving pair raised six humble and devoted children of their own, but provided a home, financial support, and unyielding love to raising countless others who remain eternally grateful. Annie Lillian, affectionately known as “Mother Dear,” gave her life to Christ at St. Mark A.M.E Church while she was still in her youth but later joined Macedonia Baptist Church, alongside her husband and remained a faithful member throughout her life. Mother Dear had a heart of gold and freely showered her love and affection over both family and friends. Widely known for preparing large Sunday dinners, Mother Dear frequently invited family, friends, neighbors, and others from the community to dine and fellowship in the warmth of her home. She often recanted stories of how she cooked for her siblings while her parents worked to provide for their family during her youth. It was during this time that she developed a passion for cooking and baking, in spite of her small stature which forced her to stand on a box to reach the pots boiling on the oven. True to her commitment to serving and educating others, Annie Lillian was a teacher for several years at St. Louis CME Church School in Hancock County and later worked in the Glascock County Public School System. In spite of her love for her career, her devotion to her family was most important, so she gave up this career to raise her children, several nieces, and nephews. Equally as important as her devotion to her family was her drive to uplift & serve people; Mother Dear genuinely loved being surrounded by immediate and extended family and by seeing others smile. She will forever be remembered for her ability to “soothe” the ills of her grandkids with delicious home-cooked meals and daily snacks prepared just as they arrived home from school. Because of her passion for others, Mrs. Annie Lilian Hunt Smith was influential in the advancement of her family and friends and was widely known for her optimism and ability to comfort. 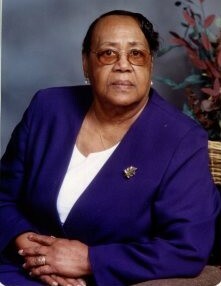 Her beautiful memories will forever be cherished in the hearts of her devoted children, Annie S. Ingram, Agnes D. (Stephen) Griffith, Jacqueline (Beauford) Wright, Cynthia M. (Julius) Watkins, James Edwards Smith, and Jameria K. Smith; her sisters, Minister Evelyn Evans, Calanthia Hunt Flood, and Patricia Hunt; brothers, George Hunt and Richard (Helen) Hunt; sisters-in-law, Polly Smith and Nancy Hunt Taylor; brother-in-law, Walter Rhodes, a god-daughter, Darlene Davis; 14 grandchildren, 17 great grandchildren, one great-great granddaughter, numerous nieces, nephews, cousins and friends. The blessings that come each day! Make flower deliveries to Warren Brothers Mortuary, Sparta, GA.
Services entrusted to Dawson’s Mortuary, Warrenton, GA.